Ludhiana: The Associate Director (Seeds) of Punjab Agricultural University (PAU) Dr T.S. 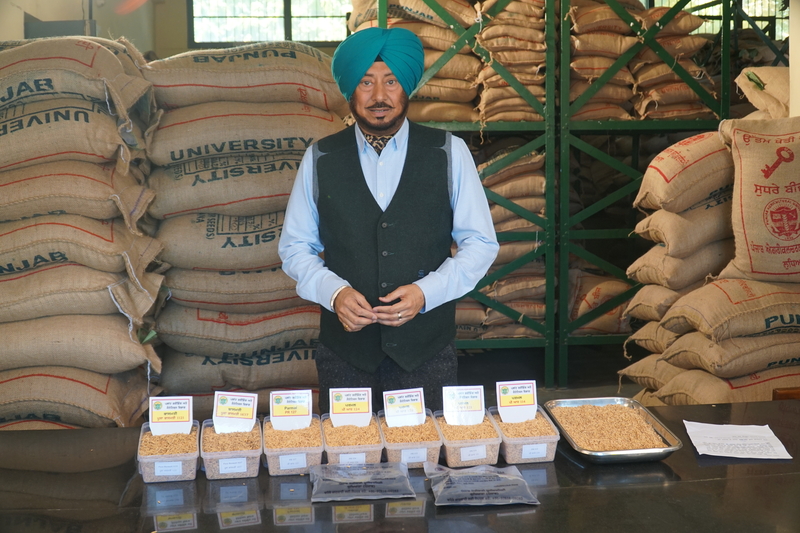 Dhillon informed today that PAU has produced quality seed of early maturing, high-yielding paddy varieties and other crops, which are available for purchase at all the Research Stations, Seed Farms, Krishi Vigyan Kendras and Farm Advisory Service Centres of PAU in Punjab. The PAU rice varieties have less straw and are resistant to bacterial blight, he added. The seed of paddy varieties PR 127, PR 126, PR 124, PR 122, PR 121 and PR 114 (8/24 kg) is available for Rs 300/900, whereas Pusa Basmati 1121 (8 kg) and Pusa Basmati 1637 (kg) can be purchased for Rs 400/- and 600/-, respectively, he said. Dr Dhillon further told that PAU Seed Shops are opened on all the seven days and for any query, farmers can contact the office of Director (Seeds) at mobile number 94640-37325, 98159-65404 and 98724-28072. Interested farmers can also contact at mobile number 98555-56672 (Amritsar), 94636-28801 and 94177-32932 (Bathinda), 81461-00796 (Barnala), 95018-00488 (Ferozepur), 81465-70699 (Fatehgarh Sahib), 98553-21902 and 94640-51995 (Faridkot), 94600-45497 (Fazilka), 94640-70131 and 88720-03010 (Gurdaspur), 98157-51900 and 95014-34300 (Hoshiarpur), 94643-82711 and 98155-47607 (Kapurthala), 81469-00244 and 98729-00333 (Ludhiana), 81465-00942 (Moga), 98722-18677 (Mohali), 98556-20914 (Muktsar), 94176-26843 (Mansa), 98889-00329 and 81460-88488 (Jalandhar), 94173-60460, 94633-69063 (Patiala), 98723-54170 (Pathankot), 94172-41604 (Roopnagar and Samrala), 99881-11757 and 94172-81311 (Sangrur), 98727-45890 (Shaheed Bhagat Singh Nagar), 98146-93189 and 89689-71345 (Tarn Taran), and 98551-37662 (Shambu Barrier).